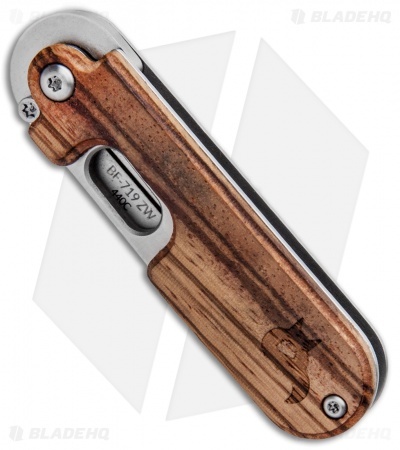 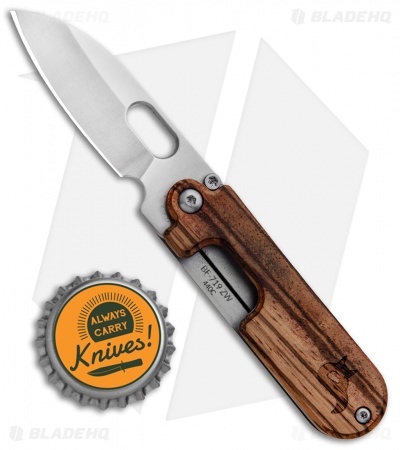 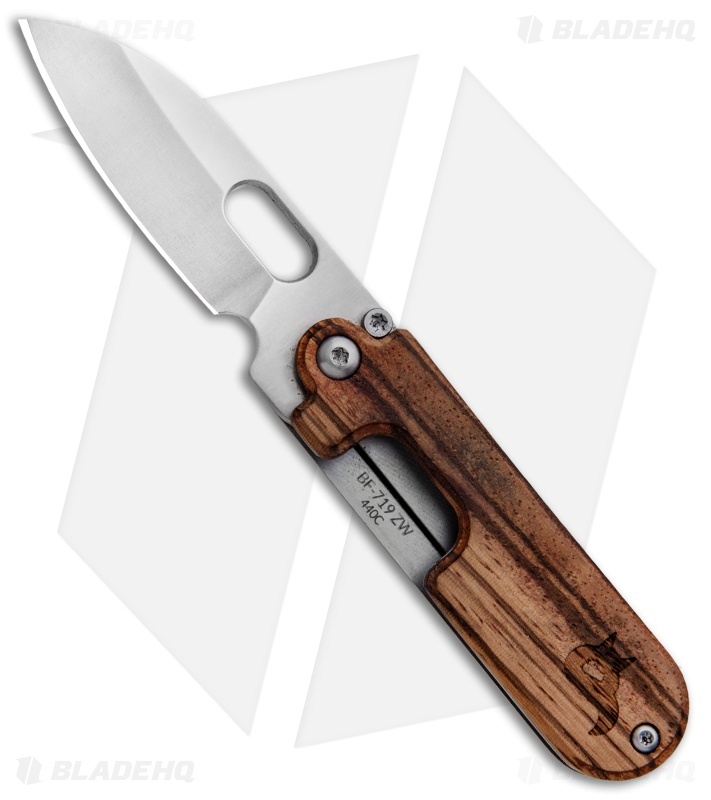 This BlackFox Bean Gen 2 model has a satin finished blade and a zebrawood handle scale. Serge Panchenko has a knack for designing fun-sized knives and the Bean Gen 2 is no exception. This BlackFox Bean folding knife offers a minimalist pocket knife design with an urban-friendly slip joint mechanism at an affordable price. 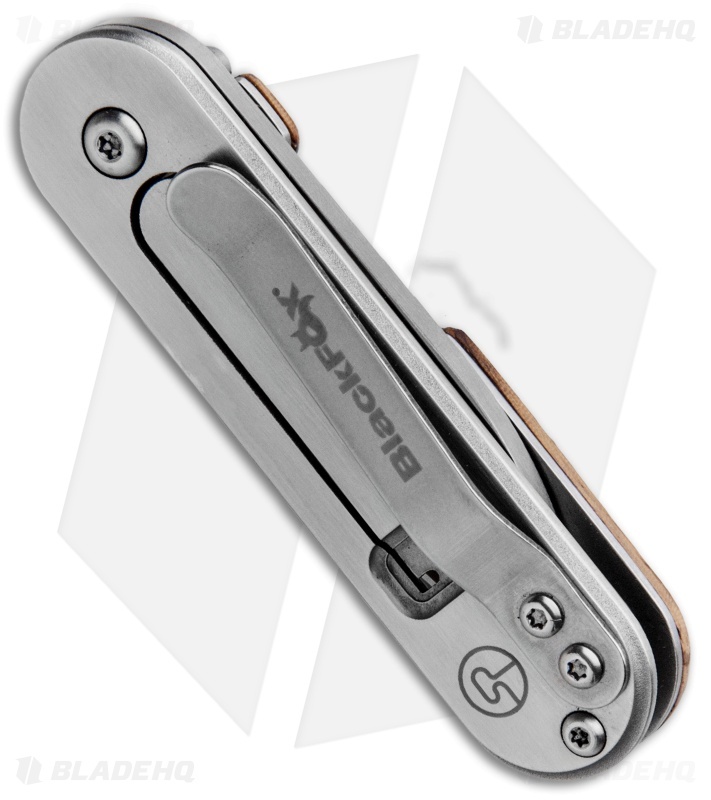 The Bean Gen 2 comes outfitted with a stainless steel pocket clip for tip-up EDC. Slim, compact design for comfortable everyday carry. 440C blade steel allows easy sharpening and maintenance. Bent stainless steel clip for secure pocket carry.